Snow-capped Mount Kilimanjaro is one of the most famous and highest freestanding mountains in the world, rising from the north-eastern part of Tanzania. Kilimanjaro stands at 5,895 metres (19,336 feet) high above sea level. 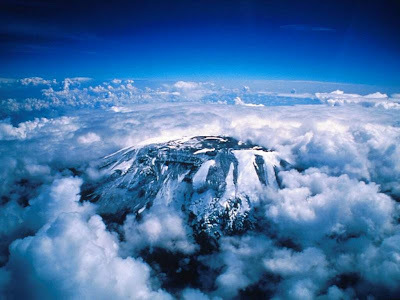 Kilimanjaro comprises 3 volcanoes of which the most famous (and the most recent), snow-capped dormant Kibo stands at 5,895 m (19,455 ft). 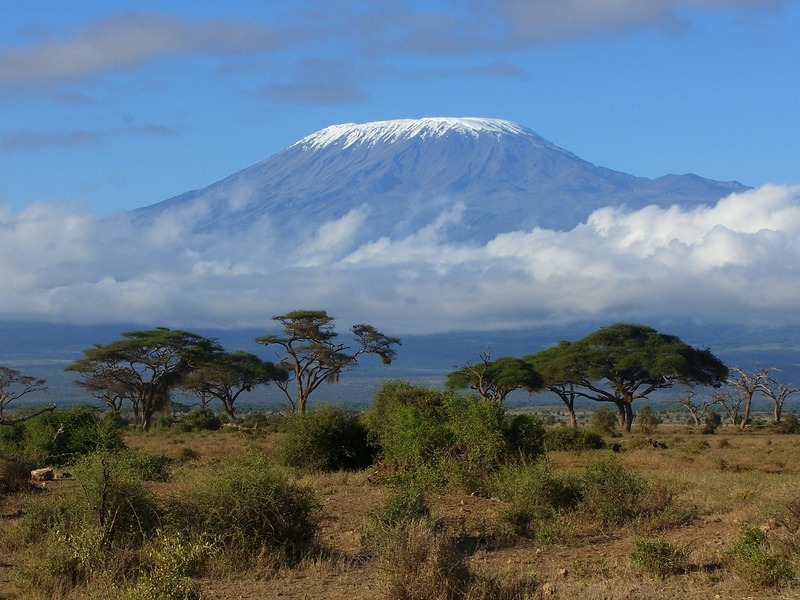 The mountain is situated in the Kilimanjaro National Park in Tanzania. The trek crosses five distinct vegetation zones, namely lower slopes, rainforest, heath and moorland, alpine and desert and the glaciers/summit. Within each zone there is an association between altitude, rainfall, temperature, plants and animals. The name Kilimanjaro, is thought to be a combination of the Swahili word Kilima, meaning “mountain,” and the Kichagga vernacular language word ’Njaro’, translated as “whiteness,” giving the name White Mountain itself. 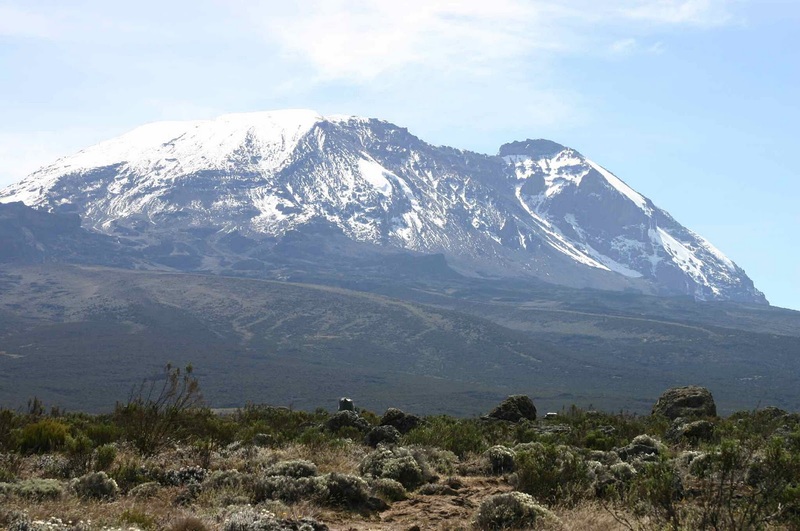 Kilimanjaro is composed of three distinct volcanic cones: Kibo 5,895 m (19,341 ft); Mawenzi 5,149 m (16,893 ft); and Shira 3,962 m (13,000 ft). 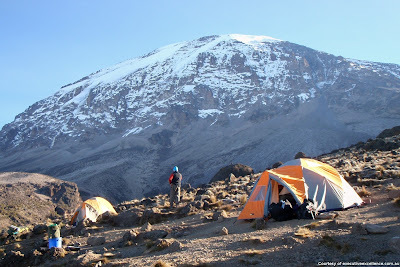 Uhuru Peak is the highest summit on Kibo's crater rim. Kilimanjaro is a giant stratovolcano that began forming a million years ago, when lava spilled from the Rift Valley zone. 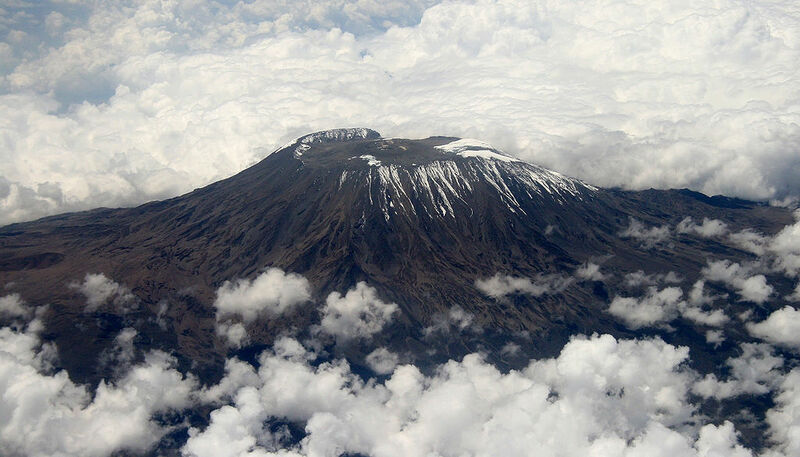 Two of its three peaks, Mawenzi and Shira, are extinct while Kibo (the highest peak) is dormant and could erupt again. The last major eruption has been dated to 360,000 years ago, while the most recent activity was recorded just 200 years ago. It is unknown where the name Kilimanjaro originates, but a number of theories exist. European explorers had adopted the name by 1860 and reported that it was its Swahili name, with Kilimanjaro breaking into Kilima (Swahili for "hill, little mountain") and Njaro, whose supposed origin varies according to the theories—according to some it is an ancient Swahili word for white or for shining, or for the non-Swahili origin, a word from the Kichagga language, the word jaro meaning "caravan"